I will pray for you and your family Officer Simpson. Now you serve as a guardian to our angels. Officer Simpson, Such an unfortunate act that resulted in your loss of life so early into your career as a Police Officer. You will be missed but not forgotten. Thanks for making the “Ultimate Sacrifice,”. Rest In Peace Sister. Rest in Paradise Sister!!!! Godspeed to you, your family and co-workers. Thank you for your service. The Philadelphia, Mississippi Police Department mourns the loss of Officer Leann Simpson as she lost her life in a motor vehicle accident. 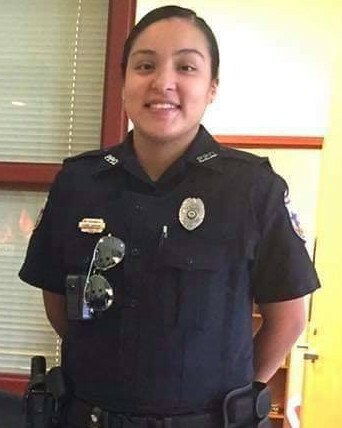 Her family also mourns the loss of this young police officer who had a great career ahead of her and now it comes to an end two days after Thanksgiving. It will be a sad Christmas for her family as they mourn the loss of this young police officer. Not only the family and the City of Philadelphia, MS are mourning but the entire State of Mississippi mourns the loss of a brave young police officer whose life was cut short after her patrol car got into an accident. May God be with your family during this most difficult time. Rest easy sister, we will take the watch from here. John 15:13 Greater love hath no man than this, that a man lay down his life for those that he loves. RIP Sister God Bless You! My thoughts and prayers for your and your family. Prayers for everyone touched by this young hero’s life. MY PRAYERS ARE WITH YOUR FAMILY AND LAW ENFORCEMENT FAMILY. God bless you Officer Leanne Simpson for your service and sacrifice. Thoughts and prayers go out to your family and friends, and to your brothers and sisters from the Philadelphia Police Department. Rest In Peace Sister. Thoughts and prayers to all affected by this tragedy.